Man if it took you half a day to figure it out. 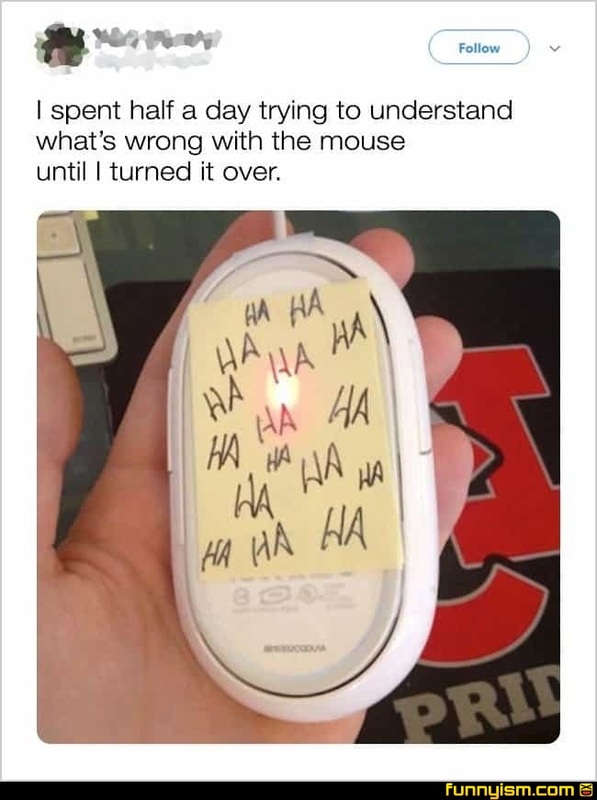 You're just as dim as the light on the mouse. @Lord Palpatine, that’s what I was thinking as well... if it took more than about 30 seconds without looking at the bottom, something is wrong with them. Anyone look at the image and think of Mandark from Dexter's Laboratory?